When buying a ship model, one needs to identify for the model maker the rig, construction, and finish of the desired ship model. But first, it would be really helpful to identify the type of model. 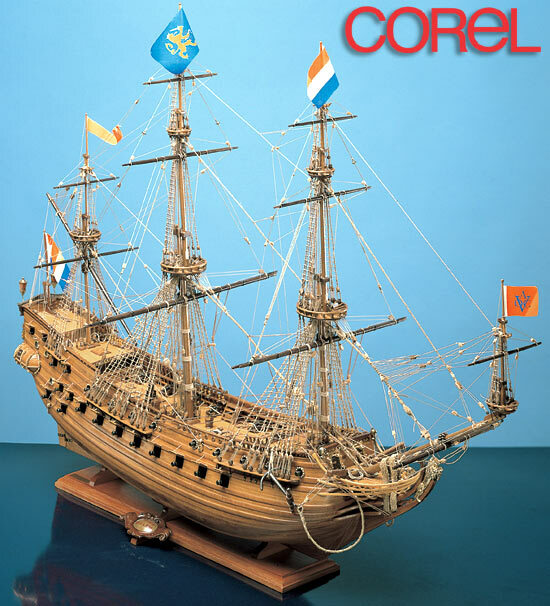 A model builder can tell what kind of model is needed by specifying the time period the original ship came from. 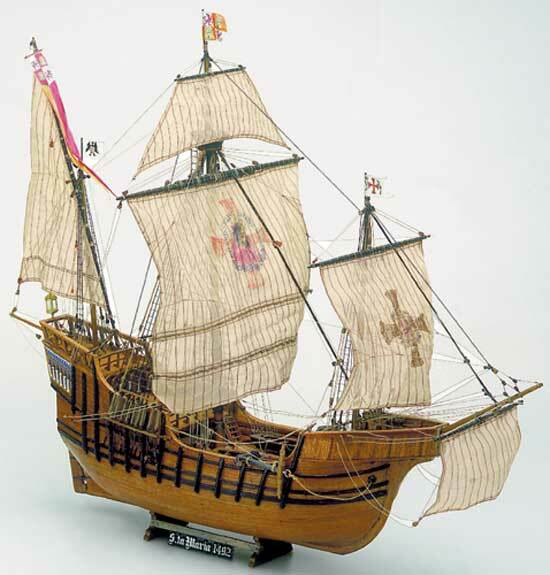 For example, a 15th century ship looks very different from a 19th century ship. 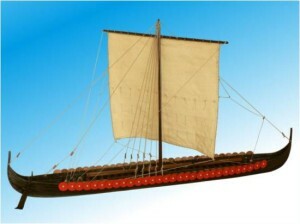 However, while most of us know what we like about the way a ship looks, we may not know what time period it came from. A simple description of how ships evolved helps to identify the time period a ship comes from. From ancient times until the dark ages, most ships were propelled by oars. Many had a rudimentary square sail to propel them when the wind was behind them, but most of the time the rowers were doing all the work. Think of a Roman bireme or even a viking ship, pictured here. These ships are typically long and sleek, with very little rigging. Some models will feature interesting details, like dozens of oars or shields on the sides of the ship. By the middle ages, multiple sails that allowed the ships to sail under a greater variety of wind conditions were added, and the ships became less dependent on rowers. Also, structures were added to the front and rear of the ships, mainly to give soldiers an advantage when shooting arrows and other projectiles down on their enemies’ decks. The ships that evolved also could sail greater distances, resulting in the discovery, exploration, and settlement of distant lands. Most people would recognize the Santa Maria, pictured here, as coming from this era. Finally, while there are more sails than on ancient ships, the rigging on ships of this period remain fairly simple. By comparison, the ships of the 16th and 17th century have many more sails and much more complex rigging. They also become more ornate in their decorations, particularly at the stern (the back portion) where we often find extraordinary carvings and paintings. Most people would recognize a galleon as coming from this period of sail. These ships could carry more cargo, more troops, and more cannon, and they could also sail greater distances than their predecessors. However, they retain the high structures at the fronts and the backs of the ships, which made them less efficient and stable. Infamously, the Wasa, pictured here, sank shortly after it was launched because it was so unstable. The 18th and 19th century witnessed remarkable advances in the size, speed, and stability of merchant and fighting ships. 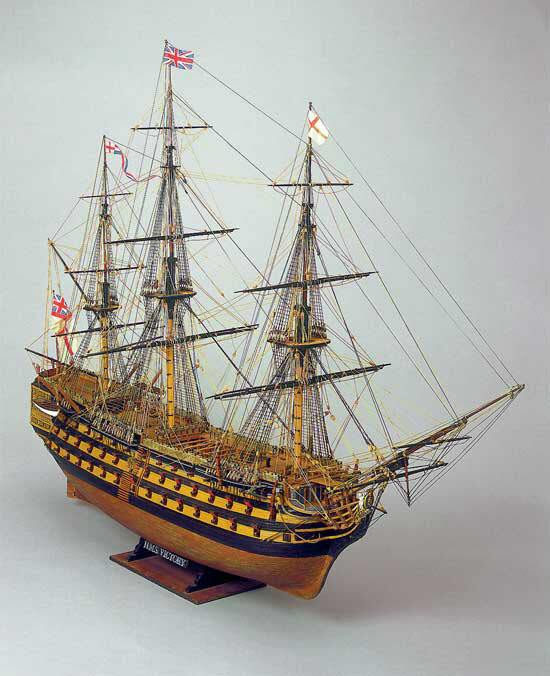 This is the period during which ships of the line, like the HMS Victory, were built. It was also during this period that the American frigates, like the USS Constitution, evolved. While these ships maintained higher decks at the front (still called forecastles) and the rear (the tallest being the poop deck), the raised structures are incorporated into the hulls of the ships, making them appear significantly sleeker than their predecessors. To me, these ships make the most beautiful models. They are the only ships I build. Most people are moved by the sight of a model of a tall ship. For some, it’s the sheer beauty of the model. For others, it’s the intricacy of the workmanship, or the detail of the rigging. For me, it has always been the history. Where was John Paul Jones standing when he was asked to surrender to the HMS Serapis? I can best visualize the event by looking at the places he could have been standing on a model of the Bonhomme Richard. Why did he refuse to accept command of the Providence? The answer is clear when you look at a model of an 18th century sloop of war. ”Don’t give up the ship!” was first spoken in 1813 by Captain Lawrence as he lay dying on the American frigate Chesapeake, minutes before his subordinates gave up the ship. Months later, Oliver Hazard Perry immortalized his friend’s dying words by using them as his rallying cry in the Battle of Lake Erie, accepting victory aboard the Niagara after the Lawrence (named for his friend) had been shot out from under him. We can talk all we want about it, but it’s only by looking at a model of the Niagara that I can begin to understand why Perry’s exploits are still celebrated. Ship models are a way of ‘seeing’ what happened at many of those events that created our history. Whether it’s a model of a frigate from the American Revolution or a model of an aircraft carrier that took part in World War II, a ship model brings history to life.